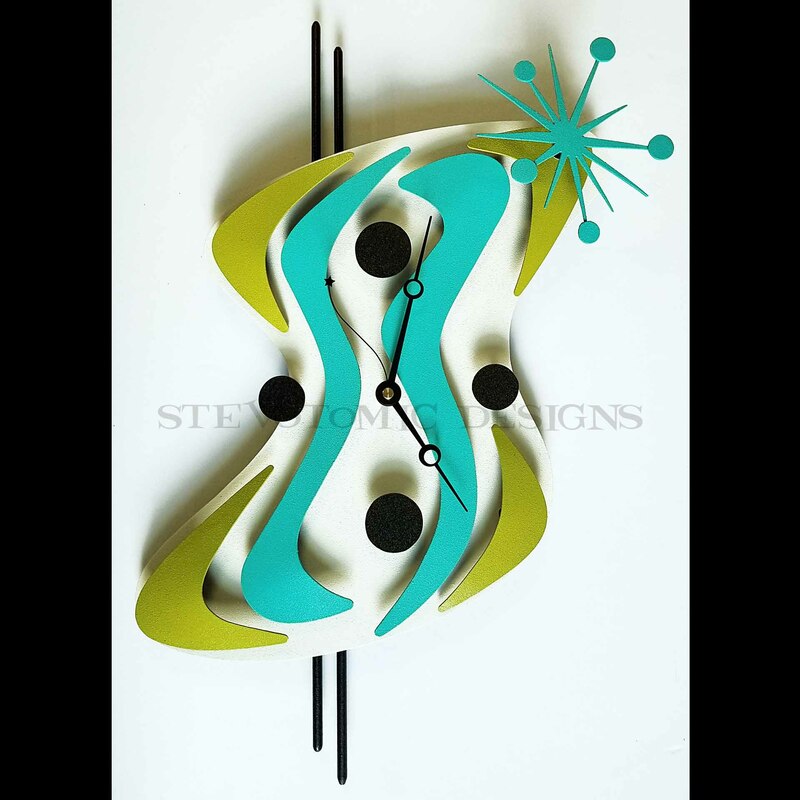 20" x 14" w Dimensional steel clock designed for interior use. Requires one AA battery and hangs with two picture hooks. Color request can be made at time of order. Slight variations can occur as made to order. Clock hand will depend on inventory and up to artist.